Posted: Friday, December 2, 2016. 10:08 am CST. Posted: Friday, December 2, 2016. 10:05 a.m. CST. By BBN Staff: The Senate, during a special sitting this week, considered a series of very important motions including Belize’s accession to the United Nations Convention Against Corruption (UNCAC), the appointment of the Integrity Commission and the ratification of the Special Agreement between Belize and Guatemala. The Senate approved a motion for Belize to accede to the UNCAC on December 9, as previously indicated by Prime Minister Dean Barrow. Government Senator Dr. Carla Barnett said she was worried that people believe signing on to UNCAC will automatically solve Belize’s problems. She said it is a process that will take time to implement and become effective. The UNCAC, of course, was one of the demands the Belize National Teachers Union (BNTU) took strike action for. Government has been working with the Belize Chamber of Commerce and Industry (BCCI) to establish a timeline and see how best to implement the convention. 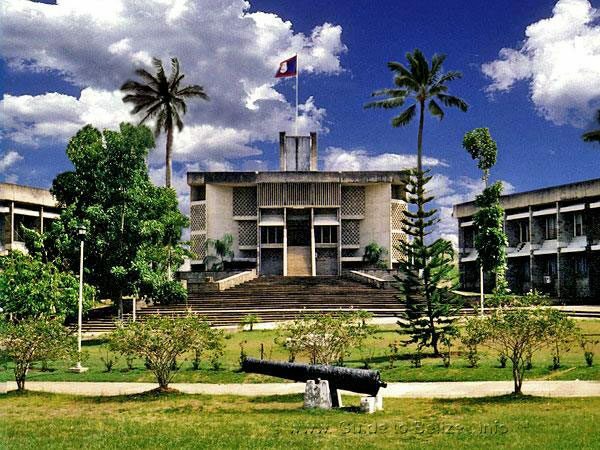 Belize will officially accede on December 9, which is celebrated as Wolrd Anti-Corruption Day. UNCAC itself has been subject to much scrutiny around the world as legal analysts have reported that the convention lacks teeth and is often not effective where political will is weak. The Integrity Commission was also appointed on Wednesday. Former Financial Intelligence Unite Director Marilyn Williams was named as its chair while Nestor Vasquez was selected as its chartered accountant. This has caused some controversy because the Prime Minister has said on numerous occasions that the delay for appointing the Commission was because GOB could not find an accountant willing to accept the designation as a Politically Exposed Person (PEP). Vasquez, of course, is closely affiliated with the United Democratic Party (UDP) government, and currently sits on the board of BTL. Apart from seemingly being a conflict of interest, critics have pointed out that the commission is stocked with UDP elites who are very unlikely to conduct unbiased investigations in matters of corruption against their own. Armead Gabourel, Lisbeth Delgado, Wilmot Simmons, Melissa Balderamos Mahler, and Claudet Grinage round out the rest of the commission, which will serve until December 2018. The Senate was also asked to ratify the Special Agreement signed between Belize and Guatemala in 2008. The agreement would see the amendment of Belize’s referendum laws to facilitate referendums in both countries on taking the long-standing territorial claim to the International Court of Justice (ICJ). The motion, however, did not pass as the Senate was divided on this issue and said it needed more time to consider before voting.